Engineering Division of Gillanders Arbuthnot & Co.Ltd. known as ‘MICCO’ , originally set up in Kolkata in the year 1957 as a steel work fabrication and erection company, has grown into a leading EPC/Turnkey Constructing company, executing turnkey contracts all over India. CHESONITEGROUT – GP – 45 is prepacked free flowing non shrink high strength cementitious grout with wide range of applications. CHESONITEGROUT-GP – 45 is a blend of modified special cements, expansion agent, fluidfires and well graded aggregates, free from corrosive substances. Being an expert in the area of electrical engineering requires a lot of confidence at delivering projects that seem extremely complex. and this comes with experience. Vexma Technology has been successfully working in the field of electronic architecture of firmware, software and hardware over the recent • ro'ects. Our of team dwells in the delight of sharing their technical real life experience to others and attaining an unattainable in this industrial era. We are actively involved in offering the most reliable Electronic Engineering Services to the industry. 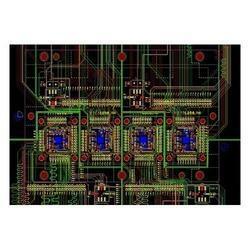 In our wide range of electronic services, we provide electronic populated boards and PCB boards. We make prompt execution of our value added services, which can be done only with the assistance of our specialized engineers. Begapt Tech Solutions Pvt. Ltd.